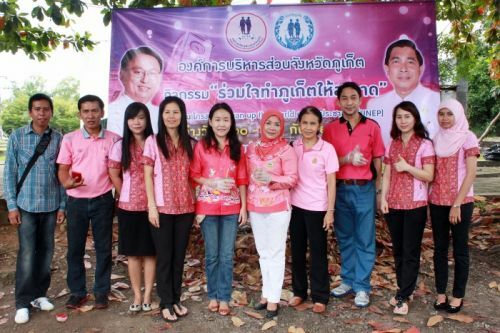 On Friday 20th September 2013 at Saphan Hin Park in Phuket Town, Vice Chief Executive of PPAO – Mr.Soratham Jinda acting on behalf of Chief Executive of PPAO – Mr.Paiboon Upattising, together with Vice Chief Administration Officer of PPAO – Mr.Watcharin Patomwattanaphong, Members of PPAO Council – Mrs.Nualchan Samart and Ms.Supriya Aimwiwattanakul, Head of PPAO Government, PPAO staff as well as local organizations, agencies, foundations, tourists and locals participated in the “Clean Up Phuket” campaign. 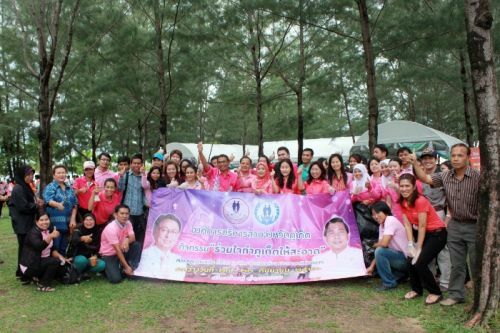 The event was presided over by Governor of Phuket – Mr.Maitri Inthusut, and it is estimated that a total of around 1,300 people took part in organized cleanup activities which took place over Friday and Saturday. The event was seen as a great success by the organizers and participants, but exact garbage collection amounts are not yet known.